Two-day-old kitten abandoned in a McDonald's bag. 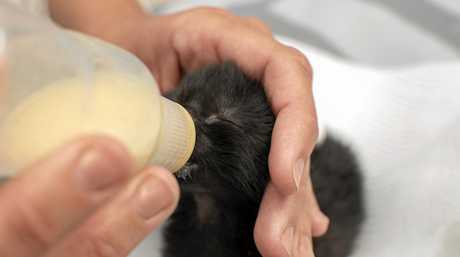 A TRIP to the bathroom quickly turned into a rescue mission to save a two-day-old kitten abandoned in a takeaway bag in the public toilets of Coles in Gatton. With his eyes still closed, the kitten, affectionately named Macca after the bag he was found in, was left for dead last Thursday. 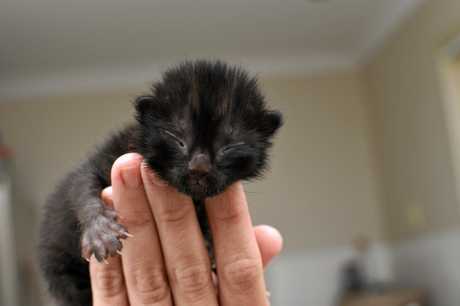 His rescuer who is a wildlife carer wished to remain anonymous, but said she found the kitten after hearing it's cries. Macca was immediately taken to the vet and apart from minor dehydration the kitten was in good health, suggesting he hadn't been there for long. "I stopped past the vet and got them to have a look over it to make sure it looked okay and got some teats and bottle to feed it with and it was back home," she said. The kitten dumping is the third act of animal cruelty in the region within the past two weeks, with a dead wallaby found in a trolley and a beheaded peacock found tied to a fence. 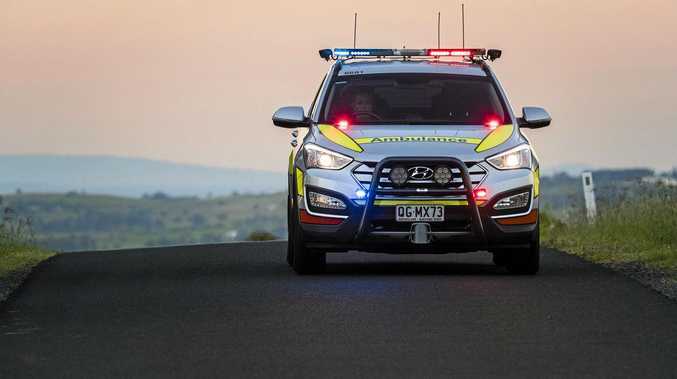 RSPCA Queensland spokesperson Michael Beatty said the acts of cruelty were extremely disappointing. "It is disturbing but it's unfortunately ongoing despite everything we do," Mr Beatty said. "We deal with about 20,000 complaints regarding animal cruelty and complaints every year." In 2017 there were 162 reports of animal abuse in the Lockyer Valley. "Just abandoning an animal like that is not the way to go at all," he said. Mr Beatty urged pet owners to get their animals desexed. "It's the prime breeding season now, the cats wouldn't be having kittens if they were desexed," Mr Beatty. Gatton Veterinary Surgery practice manager Karen Lyon said owners could have their animals desexed at a relatively cheap price. At the Gatton Veterinary Surgery female cats can be desexed for an inclusive fee of $173 and male cats for $105. Once he's old enough Macca will also be desexed, but until then his rescuer will continue to feed him and stimulate his bowel functions every three hours. Mr Beatty said it was vital people reported instances of animal abuse to save the lives of animals. "We really appreciate any information because obviously animals can't talk so we are really reliant on people reporting," Mr Beatty said. 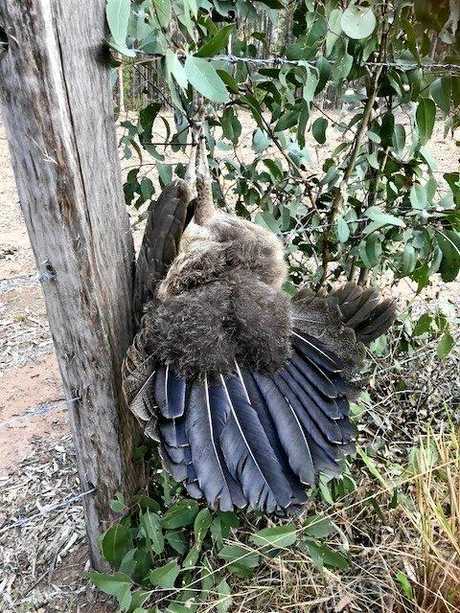 The discovery of Macca came just days after another animal's mutilated bodywas discovered zip-tied to a fence in Laidley, and the find has shocked local residents. Cher Kilpatrick discovered the headless body of a peacock strung up on the corner of Paroz and Mountain roads on the afternoon of September 3. Ms Kilpatrick said she had spotted the bird on her way home and had initially thought it to be an eagle caught in the fence. However when she and her husband returned to the site to free the bird they discovered the lifeless corpse which she said left her feeling "shocked and disgusted". "I have no idea what would possess a human to do this," Ms Kilpatrick said. "We do have a few of these birds up the dirt road, they roam around freely in the paddocks - they don't seem to be a nuisance at all." The act has similarly disturbed RSPCA Queensland spokesman Michael Beatty. "Unfortunately, we do get these cases and it's just very disturbing," Mr Beatty said. "You just don't understand why someone would do something like that - it's just completely senseless. He said inspectors were investigating the incident, but more information was needed to be able to determine what occurred. "In cases like this, you are really reliant on a member of the public coming forward with some information." If you have infomration in relation to these two incidents or to report animal cruelty, call 1300 ANIMAL (1300 264 625).